A severely injured wild monkey was rescued by the Wildlife SOS Rapid Response Unit from the President's house on Friday. 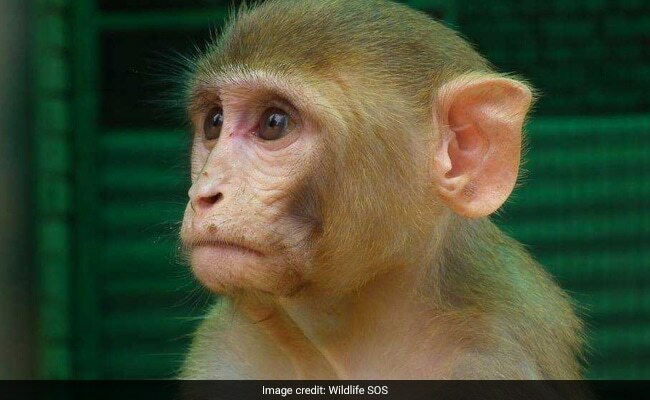 New Delhi: The Rashtrapati Bhavan had an unusual visitor on Friday when an injured monkey decided to take up temporary residence inside the President's house. The injured animal was spotted in a meeting room by the staff at Rashtrapati Bhavan and the matter was reported to the Wildlife SOS team on their 24-hour rescue helpline. A two-member rescue team was immediately dispatched by the charity, which provides animal ambulance services to wild animals in distress across the Delhi NCR region. The Wildlife SOS team found the injured monkey resting under some chairs. "Our team has to be careful while extricating injured animals so as to avoid causing further stress or pain," explained Wasim Akram of Wildlife SOS Special Projects. On close examination, the rhesus macaque was found to be suffering from a severe injury in the shoulder area. "This injured animal is likely to be a victim of human-animal conflict and it took shelter in a place where it found safety," said co-founder and CEO of Wildlife SOS, Kartick Satyanarayan. "Human-primate conflict, often termed as monkey menace, is on the rise, sadly because of the fragmentation and disappearance of the original habitat that these animals depend on." The monkey is currently under observation and will be released back into its natural habitat after medical care.